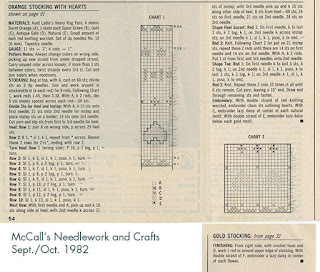 When my Grandma passed away in 2016, I inherited some of her half finished knitting projects along with some knitting patterns she had saved. 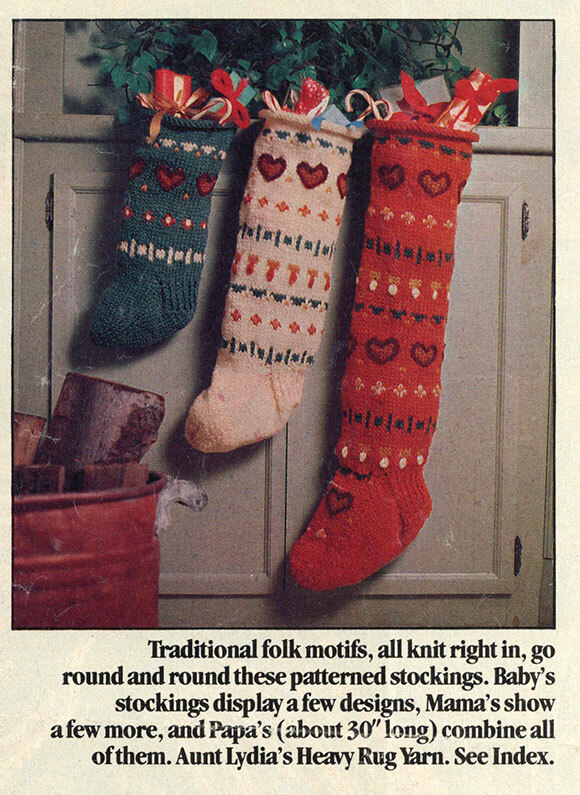 Included in them was a pattern to make Christmas stockings from McCall's Needlework and Crafts September/October 1982 issue. My daughter Suzanne didn't have a stocking and I found some extra time to use the pattern to make her a stocking of her very own. Since the pattern was pretty old, I didn't think I would find any of Aunt Lydia's heavy rug yarn and I only had so many sizes of double pointed needles, I decided to wing it. Luckily a Christmas stocking doesn't have to fit anyone I didn't do a gauge check, instead I just looked through my yarn stash, picked out some colors and got started. I mostly used Paton's classic wool yarn with a couple other random yarns thrown in. I used the pattern as a starting point, but I wanted to include Suzanne's name in the design. I worked that out on graph paper ahead of time and just started putting it in while still working on the pattern design. I didn't have a ton of the original red so that's why I added in some green stripes. 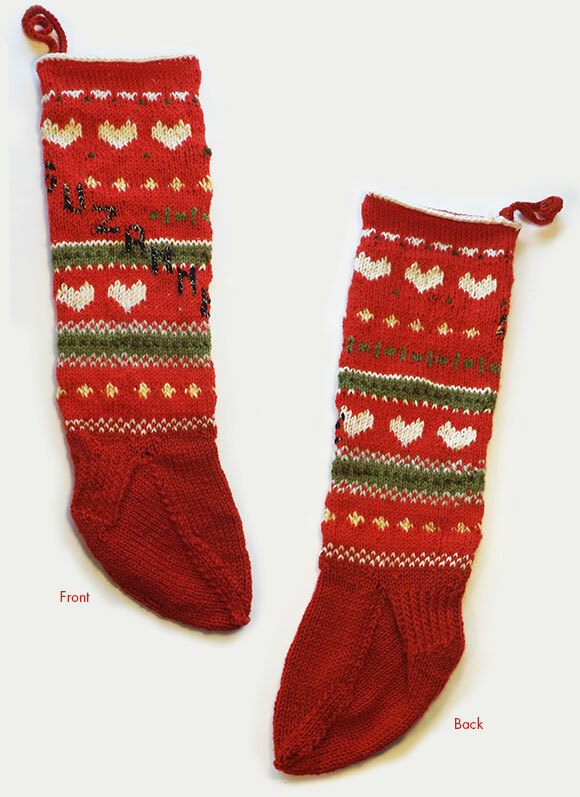 I ended up buying another ball of red wool yarn to finish out the foot, it's not the same dye lot but I think it works. The stocking is about 23 inches long from the top to the toe. It should be a good size to cram lots of little presents into. 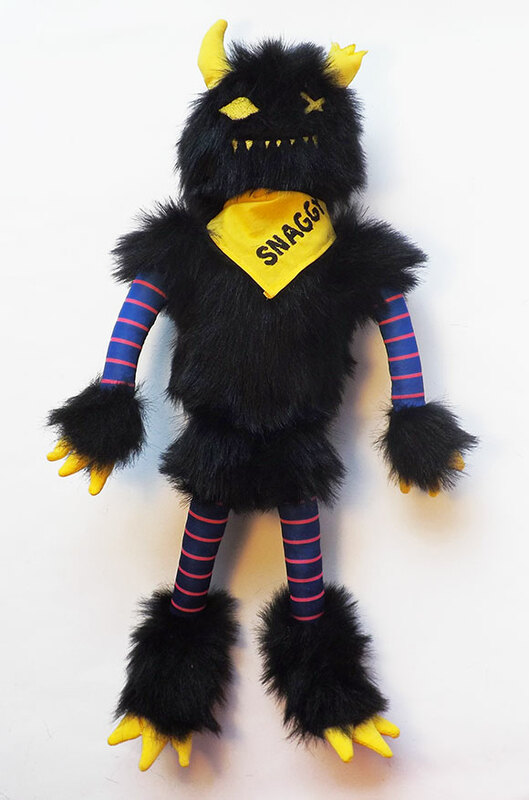 Along with the Snaggy Head, I also worked on creating a full body Snaggy toy designed by Emily Montoya. 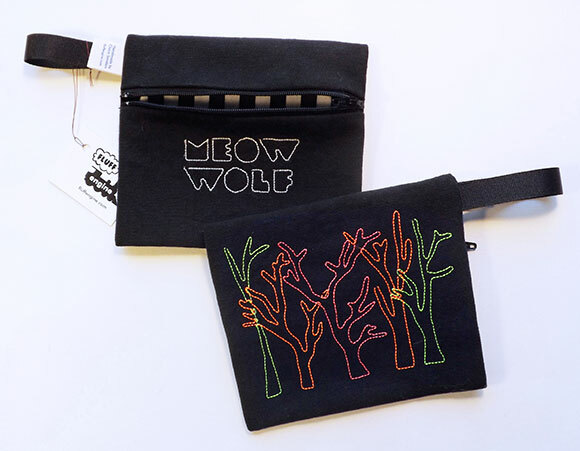 I made a limited run of 20 pieces, but this one is also in development for getting mass produced for the Meow Wolf store. 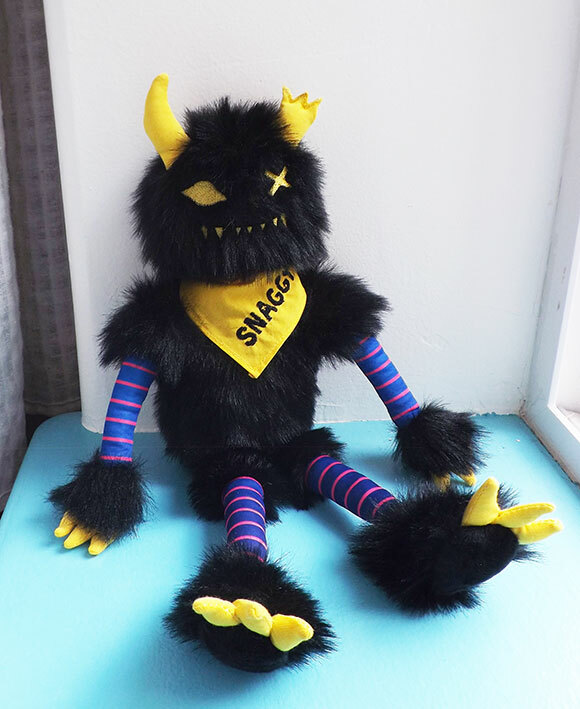 Snaggy is about 14 inches high, made of long black polyester faux fur. It has some plastic beans in the body so it can sit, and the arms are floppy enough to pose into different positions. For the arms and legs, Emily had a very specific striped gradient design in mind. I knew I couldn't find the pattern as preexisting fabric, so I took her pattern file and had it custom printed by Spoonflower. This was my first experience getting fabric printed from them. Spoonflower has come a long way with all the material options since I first remember hearing about them many years ago. I got Emily's stripe and gradient pattern printed onto a polyester knit they call Performance Knit. 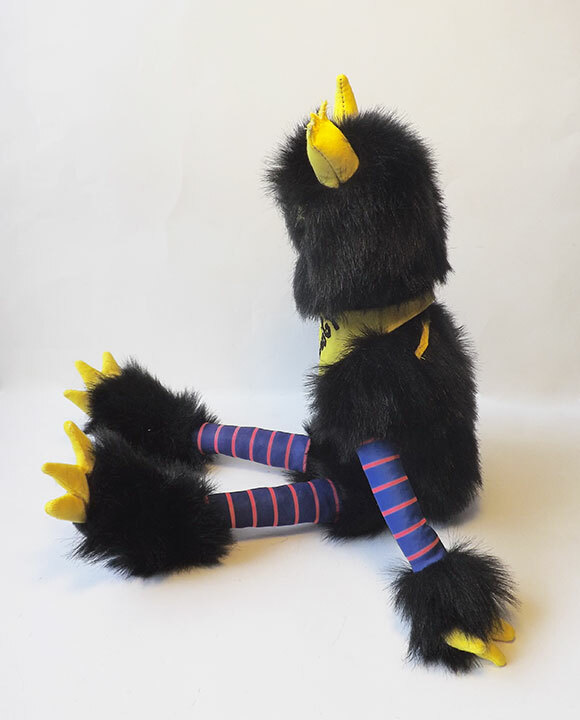 It has a little bit of stretch but not too much which is perfect for assembling the limbs. I was really impressed by how vibrant the printed fabric came out. 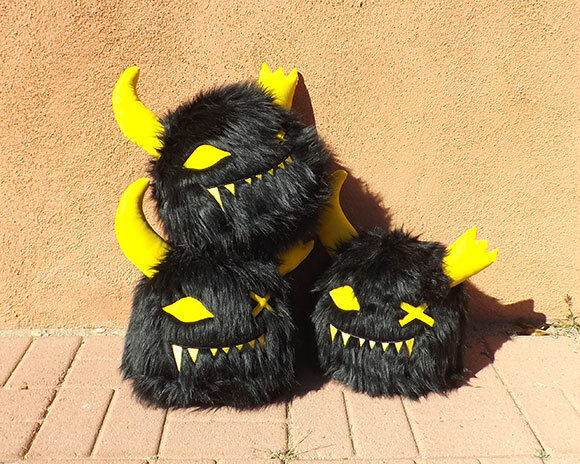 Anand had a pretty clear version of the type of simple, fun plush toys that she wanted me to make, which always helps. The faces are taken directly from Anand's illustrations, she drew the specific expressions she wanted and I just turned those into machine embroidery files. 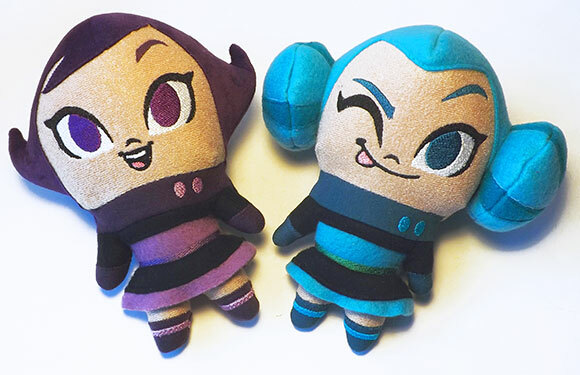 I mostly used fleece and craft velour to make them, with some little pieces of other fabrics to match the colors that Anand already had used to design her characters. The toys are about 8 inches tall. Even though their shapes are simple, there are actually a lot of pieces layered to create all the different shapes for their outfits. For Halloween 2017, I wanted to make Suzanne a costume that she would be interested in wearing. She's almost 2 so she does have some favorite things but she doesn't totally understand Halloween or dressing up yet. We have tons of Star Wars stuff around the house, including several books of the original trilogy that she looks at often. 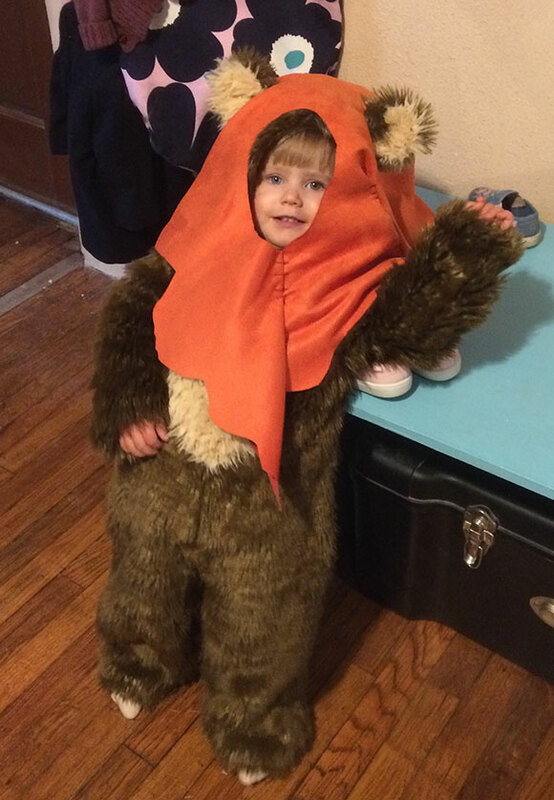 She loves pointing out the ewoks, and since she's just the right size, so it seemed like a good fit. 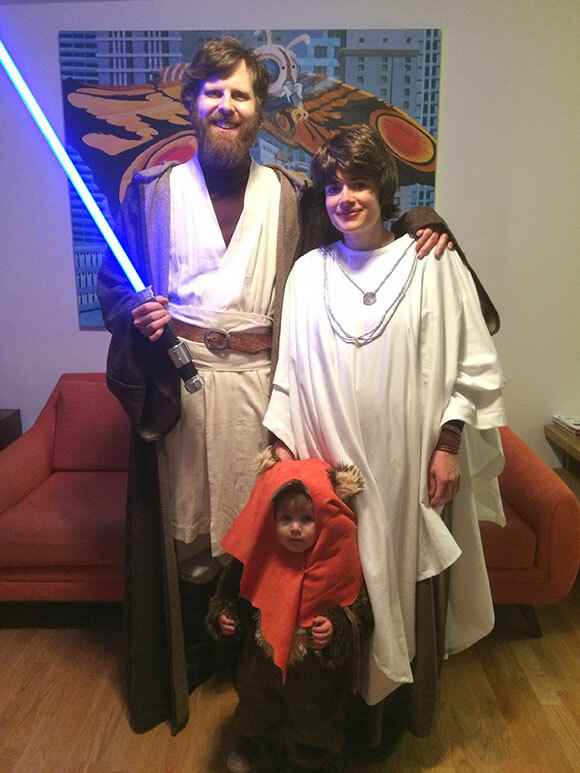 Alec already had a great Obi Wan Kenobi costume that he wore to his college graduation. 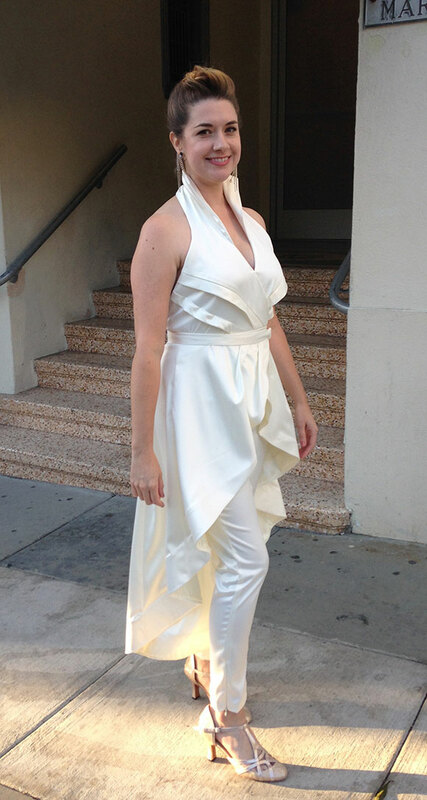 I chose to be Mon Mothma, both because she's awesome and because her costume was easy to put together since it's mostly a white toga. I did find a great costume reference for her on the Star Wars site as I had no idea the length of the white part or that she has a brown tunic underneath. 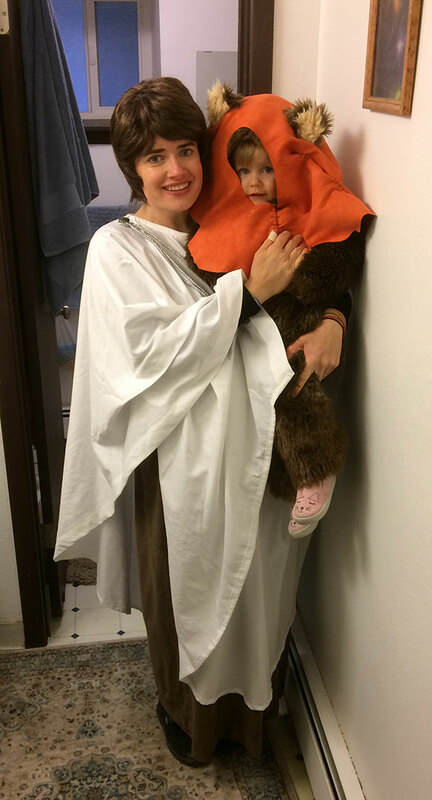 For Suzanne's ewok costume, I used the same base jumpsuit pattern from the year before when she was a log. I added sleeves, some length to the legs and made the belly color separation piece. Under the hood is a hat with ears, again I traced an existing hat for the base and added some ears. 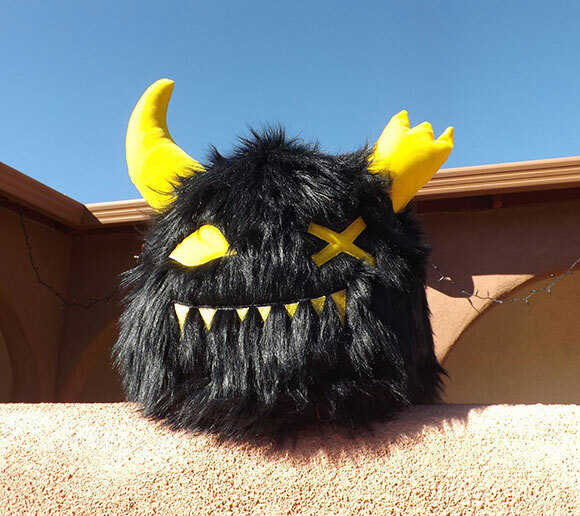 The hood doesn't have a pattern, I just draped some faux suede on top of the ear hat and used thick thread to mimic the handmade look of the ewok's hoods. Once I made it, I wasn't sure if Suzanne would want to wear a costume at all. She does like ewoks so she recognized what it was when I finished sewing it. She happily put it all on, didn't mind the main suit, but didn't want to wear the ears and hood for very long. My friend Jen got married last month in San Francisco. At the beginning of this year, she contacted me about making her wedding outfit. She's not crazy about dresses, but she really liked the idea of a jumpsuit. 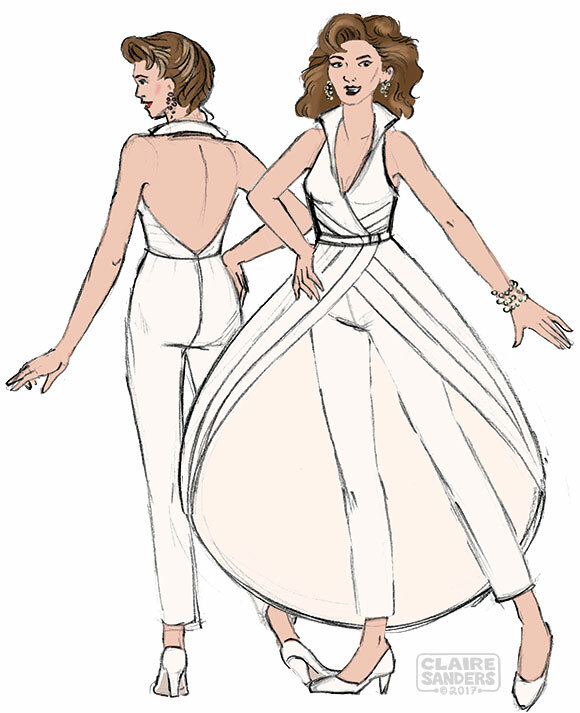 She included a removable skirt element to make it feel like a wedding dress not just a white jumpsuit. She sent me some reference images of existing design elements that she liked. Then I made a couple different sketches putting those elements together. We did some back and forth until the right design came together. 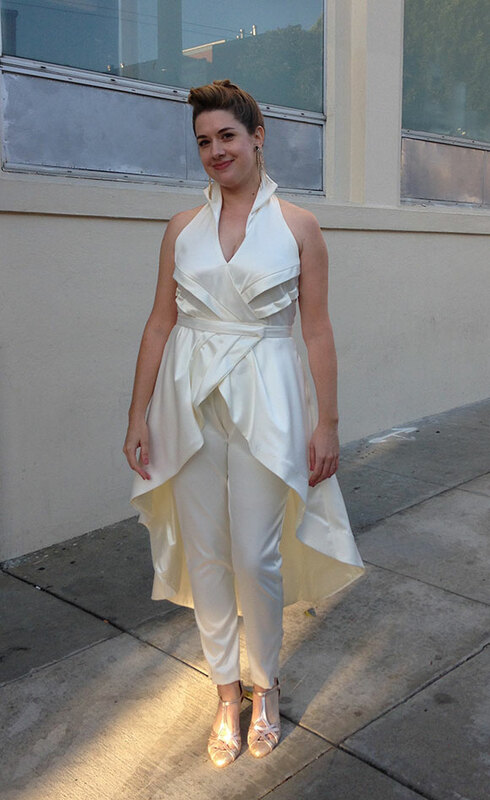 From that sketch, I made the pattern and sewed a muslin version for fitting. I sent that to Jen for the first fitting. It's wasn't totally off, but I had plenty of fixes to make. We did a skype fitting so I could see it live and Jen made marks on the muslin with safety pins. She sent me back the muslin and I used that to alter to pattern to better fit her. I pieced together the final outfit, then she came to visit me in August so that I could a final fitting in person and complete the outfit. Jen loved it and it was the perfect outfit for all the dancing she did at her wedding. This was my first wedding ensemble made for another person. I had to break out all my old college pattern making textbooks to make sure I was putting it together right, but I'm really happy how it all turned out. I've been having a lot of fun with the Brother PE-770 embroidery machine I bought about a year and a half ago. 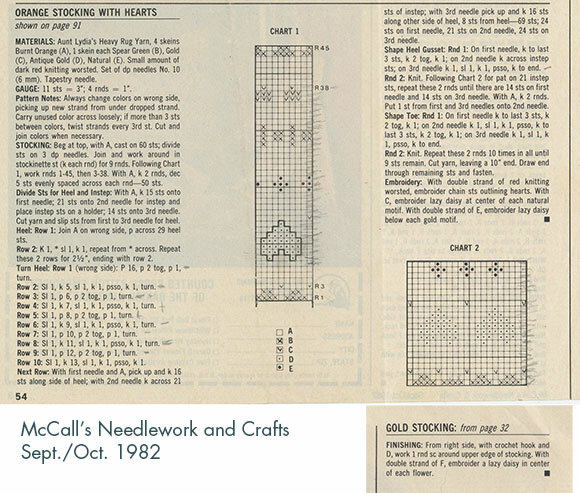 I've been using the awesome SewArt image conversion software to turn any image into an embroidery file. 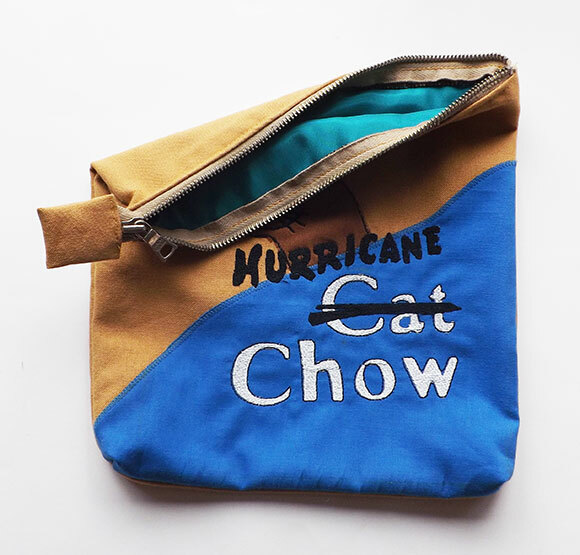 This past Christmas I made a bootleg Simpsons bag inspired by the Hurricane Cat Chow from the Hurricane Neddy episode in season 8. 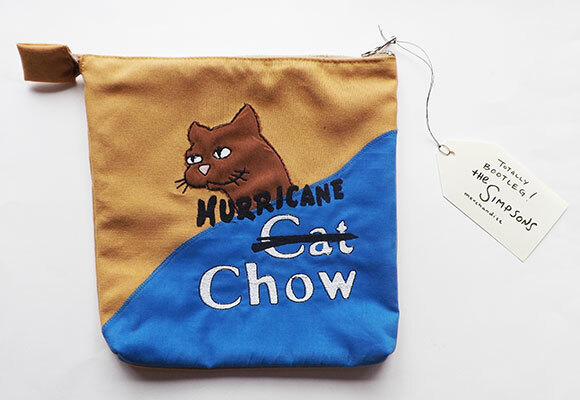 It was a Christmas gift for a fellow Simpsons fan and cat owner, so it can hold some cat treats or human treats for those days when the Kwik-E-Mart is all sold out.